After last month's expiration of a truce between Israel and Hamas, Hamas began a series of rocket attacks on southern Israel. These attacks included the use of longer-range Grad (Katyusha) rockets capable of reaching Ashdod, Israel's main port that sits halfway between Gaza and Tel Aviv. The attacks triggered an Israeli response far greater than Hamas envisioned. Rather than a few targeted killings or air strikes, the Israeli military unleashed a massive assault on the Gaza Strip. The operation consisted of punishing air strikes followed by a ground assault to the outskirts of Gaza City and the Jabaliyah refugee camp. After two weeks, the Israeli advance is approaching the densely populated center of Gaza City, encountering stiff resistance from Hamas as the troops get closer. 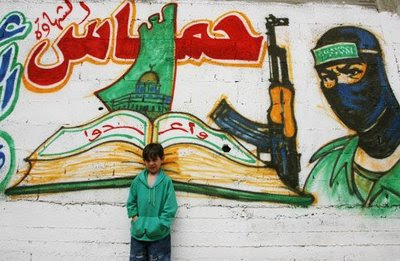 Although Hamas has prepared defenses - often hiding in schools and mosques - it thought this would have been over by now. Hamas thought that this conflict with the Israelis would follow the pattern of previous battles, including the Hizballah-Israel fighting in 2006. It begins with a provocation by whatever Arab group wants to fight the Israelis; the Israelis respond militarily. Typically there is an air campaign followed by a ground incursion that lasts a few days while the diplomats at the United Nations or another international forum call for a ceasefire, making commitments that never quite translate to reality. Case in point - United Nations Security Council Resolution 1701 that ended the 2006 fighting included a provision that international forces were to prevent Hizballah from moving back into southern Lebanon and to prevent the group from rearming. Today Hizballah completely controls southern Lebanon and has more arms than it did prior to the conflict in 2006. The ineffective United Nations forces merely observe and report. Hamas thought this conflict would go the same way. A few days of bombing and a blockade, followed by a diplomatic arrangement that prolongs the issue rather than solving anything. Hamas views any arrangement that allows it to survive as providing legitimacy. Hamas made several bad assumptions this time. They did not realize that the Israeli leadership - military and civilian - learned the lessons of 2006. After being perceived as not dominating the battle in 2006, Israel was not going to allow that to happen again. After thousands of rockets were fired into Sderot, Hamas began using longer-range rockets to attack larger cities of Ashdod, Askelon and Beersheba. These attacks on the larger cities galvanized the Israeli population to demand the government take action to stop the rocket launches from Gaza. Once the predicted retaliatory air strikes began and the ground offensive began, Hamas thought it could take on the Israeli armed forces like Hizballah did three years ago. Hamas is not Hizballah, and southern Lebanon is not the Gaza Strip. Hizballah has much more training and better weapons, they had longer (six years versus three) to prepare defenses, and Lebanon has a long porous border with Syria, allowing almost unlimited resupply. The Gaza Strip is almost surrounded by Israel and the Israeli navy on the coast. Its only resupply route is a series of smuggling tunnels along the Egyptian border. Hamas will likely survive this conflict, but it will pay a tremendous price. It underestimated the frustration of the Israeli population with the incessant rocket attacks and the strength of the Israeli response.